Bishop Vesey’s Grammar School had been through bad patches before - trustees helping themselves to the funds in 1634 and 1640, the school building falling down in 1727 - but the appointment of Charles Barker as Headmaster in 1817 heralded the lowest point. Barker, well qualified academically, took up his post in May 1818, and resolved that the school would take only classics scholars. The trustees received a letter of complaint from a parent in 1821, whose son’s latin had got worse instead of better after a year’s teaching by an incompetent undermaster, and in 1823 Thomas Holbeche complained of inattention to his son’s education. By the time of St.Clair’s speech in 1854 the school was beginning to flourish again. 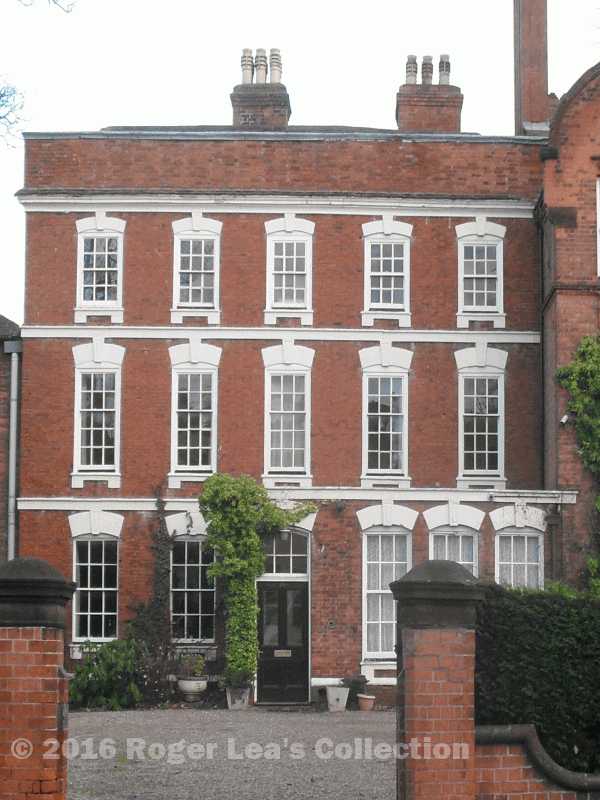 The old part of Bishop Vesey’s Grammar School - Charles Barker made it his private house.